Stop Selling & Start Leading Is Abstract of the Week! 05FebStop Selling & Start Leading Is Abstract of the Week! getAbstract's book recommendation for Stop Selling & Start Leading is featured as Abstract of the Week on the getAbstract website. 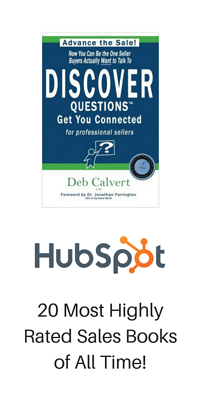 The bestselling book is co-authored by Deb Calvert of People First Productivity Solutions. getAbstract is a website that takes the key insights of 18,000+ nonfiction books and summarizes them into 10‑minute reads. Each week the editorial team chooses five new titles to highlight on its website (found under "Editor's Picks" on the homepage). Click here to see Stop Selling & Start Leading's entry.